Cutting the cord is easy and saves money, but it doesn't mean that you no longer need a television. On the contrary: the streaming services and awesome over-the-air content we cover all the time here on Cordcutting.com make it appealing than ever to have a seat, kick back, and watch TV. But when it comes to great TVs, size isn't everything. That's why we're here with this list of the best small TVs. Great things come in small packages, and this selection of the best small TVs is no exception. These top-notch TVs include cost-effective small HD TVs, small 4K TVs that put big picture quality into a little space, and even some models that you might want to use as both a TV and a computer monitor. This is it: our list of the best small TVs for cord cutters, streamers, and fans of over-the-air TV. We made our selections by doing the research that you don't have time for. Starting with our own experience, we pored over work from top review sites (yes, we read the competition), scrolled through customer reviews on top sites, and compared specs and price points to find the greatest values and best small TVs that money can buy. A “small TV” may mean something a little bit different for everyone, so we made sure to include the size of each TV on this list. We also include the price and other vital information about each of these great small TVs. Here's our list. LG has some very popular small TVs, including this model. 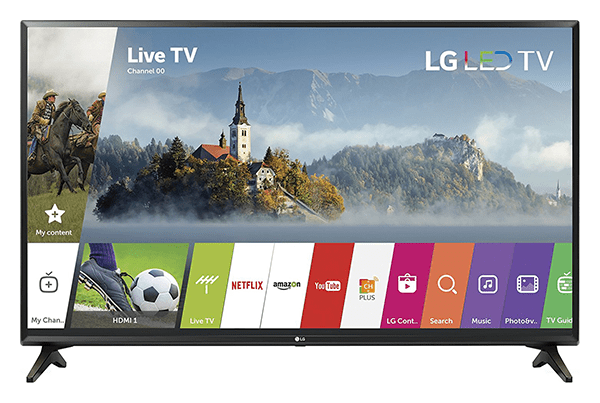 The LG 32LJ550 offers a 32″ screen and 72op HD picture. It's a smart TV, of course, as virtually all TVs are these days, and the app selection and interface, while not world-beating, are both perfectly reasonable. This isn't your only great small TV option from LG. Though this is the one we chose to represent the brand on our list of the best small TVs, it's worth noting that you can get TVs from LG in sizes as small as 22″ and 28″. Those sizes can be tough to find in other brands' lineups, and critics and customers alike have long sung the praises of LG's small TV selection. The smaller the TV, the tougher it is to get super-high resolutions. That makes sense both in terms of price point (bigger, more expensive TVs are better equipped to add high-priced picture quality) and in practical terms (fitting about 4,000 pixels across a screen gets tougher as the screen gets smaller). So we're not going to be writing a post on the best small 4K TVs, at least not anytime soon – for the most part, 4K TVs tend to be 55″ and up. 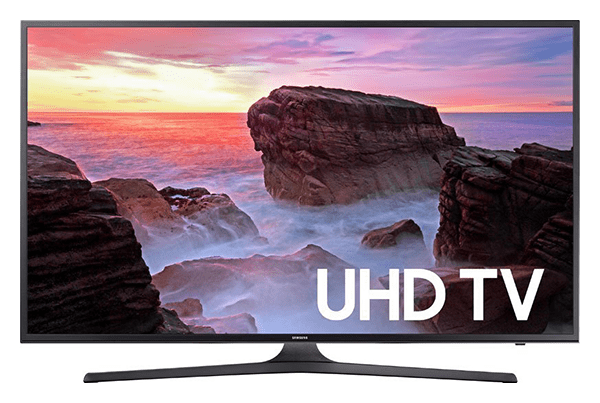 There are a few 43″ models around, though, and then there's this one: the 40″ version of the Samsung 6 series, the best small 4K TV of them all, and the only entry on this list of the best small TVs that boasts 4K UHD resolution. The smart TV features work great, too – this TV runs Samsung's Tizen OS, which falls under it's “Smart Hub” branding. It might not quite match the great platforms that we've seen on standalone streaming boxes, but it's easily among the better platforms made specifically by an electronics company for its smart TVs. Put it all together and you have a modern 4K TV with a modern streaming platform that you'll keep loving for years to come. All the features above were enough to earn Samsung's little 4K TV into a critical hit and earn it lots of rave reviews from customers on Amazon and other retail sites. For years, smart TVs had a problem: they were clumsy and hard to use. That's why people kept going out and buying streaming boxes that did all of the same things that smart TVs already did. It was worth paying extra just to be able to use a great, user-friendly streaming platform like the one from Roku. So it was only a matter of time before Roku and its competitors became smart TV platforms themselves. 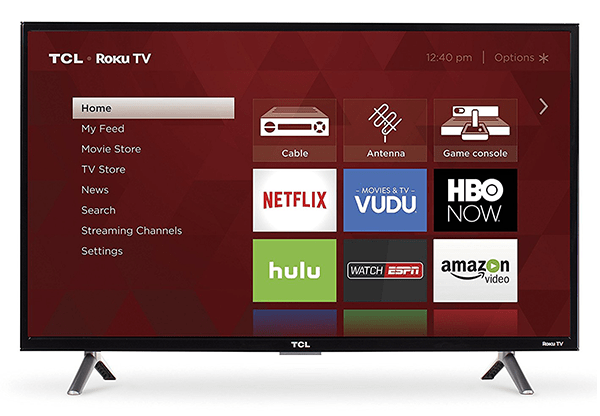 This collaboration between TCL and Roku has Roku's superb streaming platform built in, and the result is an easy-to-use smart TV that keeps everything simple and beautifully organized – even the input settings are easily found right alongside apps like Netflix. We raved about this TV in our review, so longtime readers will not be surprised to find it here – once again – on our list of the best small TVs. For those who find the 720p resolution a turn-off, it's worth noting that Roku's newer 4K models are similarly wonderful and similarly affordable. They were kept off of our best small TVs list only due to size – they're available no smaller than 43 inches. While many of the best small TVs still feature 720p HD – it's the norm at this size, as better picture quality usually makes more sense at a larger TV's price point – this particular model boasts 1080p HD picture. 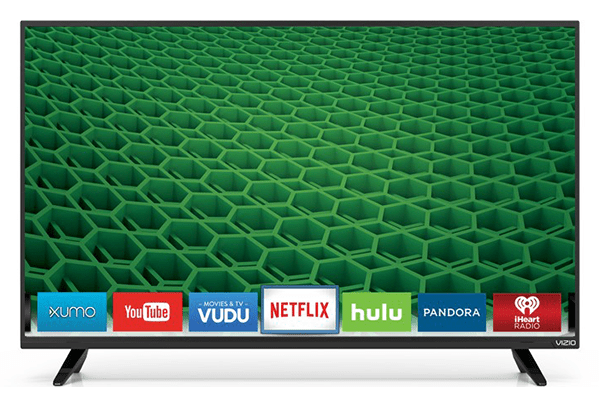 That has helped the Vizio D Series earn near-universal critical acclaim from some of the biggest and most trusted reviewers on the web – not to mention the respect of customer reviewers on sites like Amazon. You'll pay just a bit more for this one than some of the other TVs on this list, but that's in exchange for that top-notch picture quality, which really does help this model stand out even among its fellow best small TVs. The streaming platform on board this one is Vizio Internet Apps Plus, which is a version of the Yahoo! smart TV platform, and it's simple and functional enough to connect you with the content that you want to stream on this gorgeous TV. I just bought a LG 28″ in December and it’s awesome. GREAT picture. I study the displays hard before picking my TVs and this one was fantastic AND on sale!